Roger Delgado having been killed in a car crash in Greece in 1973, the Master’s reappearance would necessarily require a regeneration. 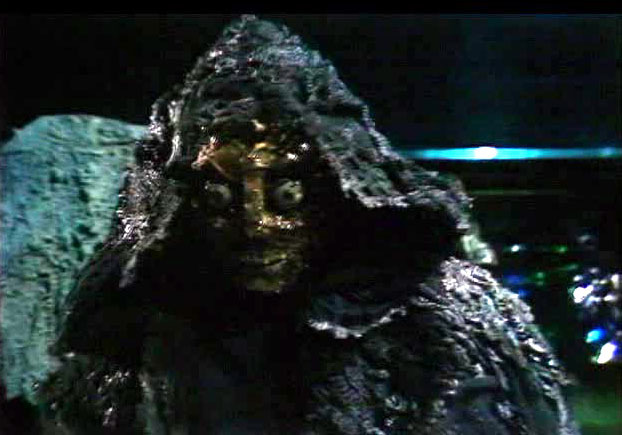 Rather than tie themselves down to a specific actor, Producer Philip Hinchcliffe and Script Editor Robert Holmes chose to portray the rogue Gallifreyan and a kind of mad mutant monk, he rotting cowl lending some to suppose that Peter Butterworth’s Fiddling Friar from first Doctor story The Time Meddler was also an incarnation of the Master. 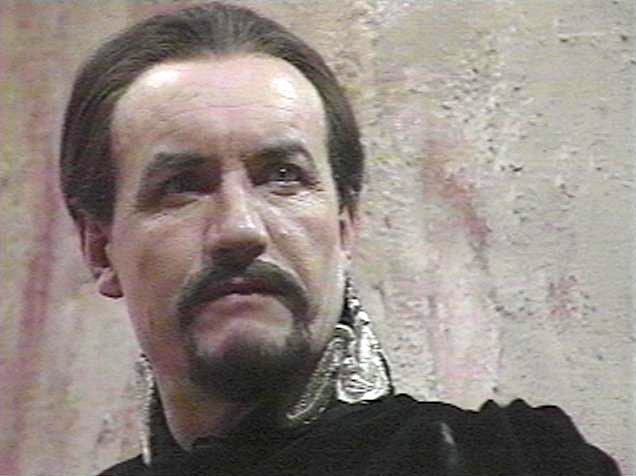 But no mere tinkering with historical continuity here - or show continuity, for that matter - as the “quintessence of evil” seeks nothing short of the utter destruction of Gallifrey and the Time Lords to achieve the power to prolong his own life. “He’d delay an execution to pull the wings off a fly,” warns the fourth Doctor before plugging himself into one of sci-fi’s first virtual reality computer simulations. Cyberspace, The Matrix, TRON’s Grid - they none of then anything on the Time Lords’ APC Net “computation matrix”. And, for once, the Master succeeds, almost. The Doctor recovers, ahem, Rassilon’s Rod, but the Gallifreyan capital is wrecked and the Master escapes with a new lease of life. “Peoples of the universe, please attend carefully. The message that follows is vital to the future of you all.” After so many years of merely mucking about, having fun, the Master gets deadly serious in this story by Christopher H Bidmead, a byline you see around this website these days. After quitting as Doctor Who’s Season 18 Script Editor, Bidders became a tech journo, and Logopolis is all about computers, bubble memory, bit patterns and even, prophetically, the (Vulture) Central Register. The newly regenerated - sort of - Master schemes to hold the universe to ransom by threatening to open the many tiny holes in the skin of space that the people of the planet Logopolis have created to allow spacetime-trouncing entropy to be vented harmlessly. Logopolis is, of course, essentially a giant, organic multi-processor computer, each member of society a calculating arithmetical unit feeding their results into the output of the whole. “The intone the computations,” explains the Doctor, so the Master scales up a pair of Sennheiser noise-cancellihg headphone and silences the planet. No sound, no computations. No computations, no entropic safety valves. Logopolis crumbles and with it the Master’s plan too. Once again the two Time Lords must co-operate to save the entire universe by way of a British radio telescope, possibly the same one used to call up the Nestene Consciousness way back in The Terror of the Autons. And then Tom Baker turns into the Wet Vet. Sob.